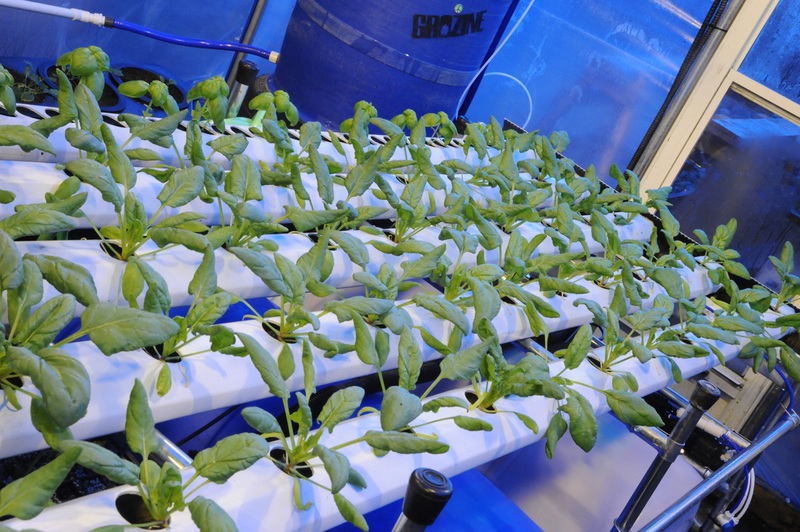 Growing hydroponic spinach is easy to do, and there’s a lot of great reasons to do it. 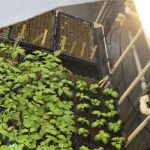 When growing hydroponic spinach you can harvest delicious and super nutritious plants very quickly from seed–consistently, over and over again. 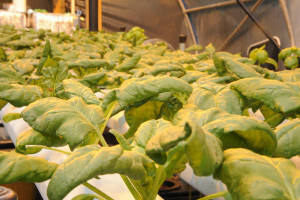 The hydroponic grown spinach crop featured in our article here took us about 5-1/2 weeks from sowing seeds to harvest. Phenomenal! 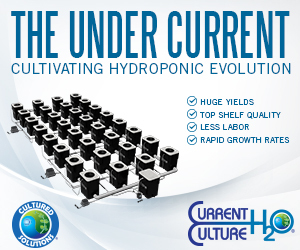 Water culture growing methods like NFT (nutrient film technique) or DWC (Deep Water Culture) offer a good level of sustainability and ease of management for home growers and commercial croppers alike. 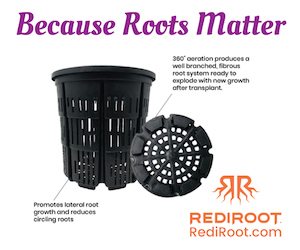 Because the plants receive more oxygen at the roots, only a small amount of fertilizer is required. 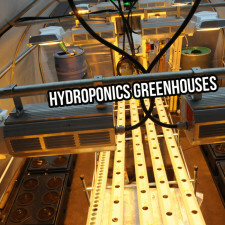 In hydroponic growing systems, or “water culture” methods, there is little or no growing medium to replace or throw away–the roots are bathed in a gentle flow of continuously circulated and aerated nutrient solution with nothing to get in the way of absorbing the macro and micro nutrients they need to grow fast and healthy, while offering superior nutrition in harvests. 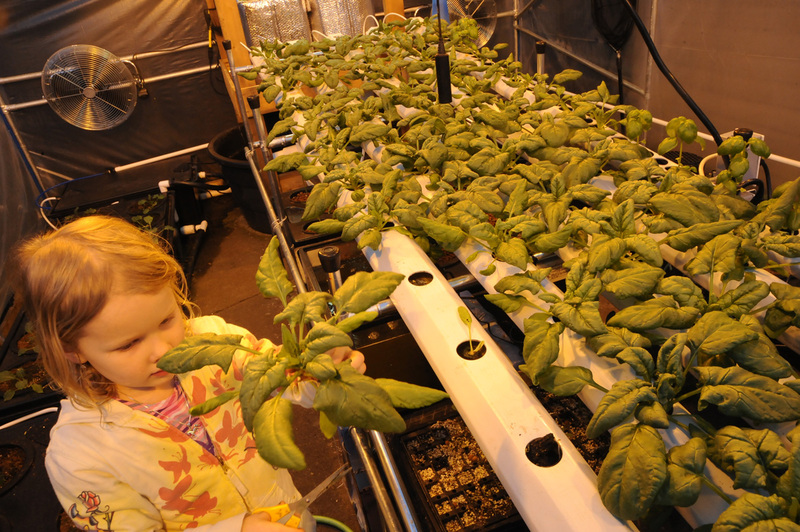 A healthy hydroponics crop grows so fast and healthy that the window of opportunity for problems becomes very narrow. 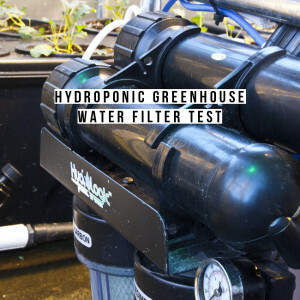 Hydroponic growing is also great for conserving water versus traditional growing methods. Very little water is lost to the air versus soil or soilless gardens. 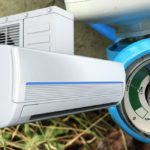 Typically, the only water loss is what is taken up and transpired through the leaves, while in soil or soilless methods, a lot of water evaporates into the air from the exposed growing media. 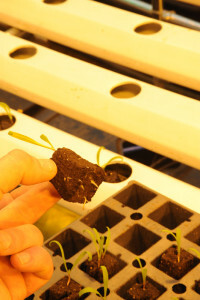 Basically, in hydroponics growing methods the water is only being applied directly where it is needed: right in the root zone. 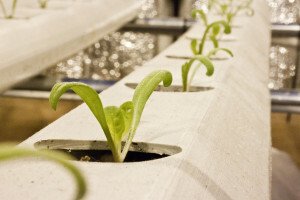 By following some basic principles with a proven hydroponics system type, plants don’t have to work hard to get what they need and are far less likely to experience stresses like drought, mineral imbalances and similar. 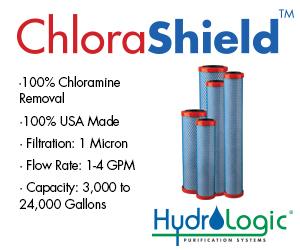 This means less chance of insects or diseases that harm plants and that may require pesticides or fungicides. A healthy hydroponics crop grows so fast and healthy that the window of opportunity for problems becomes very narrow. 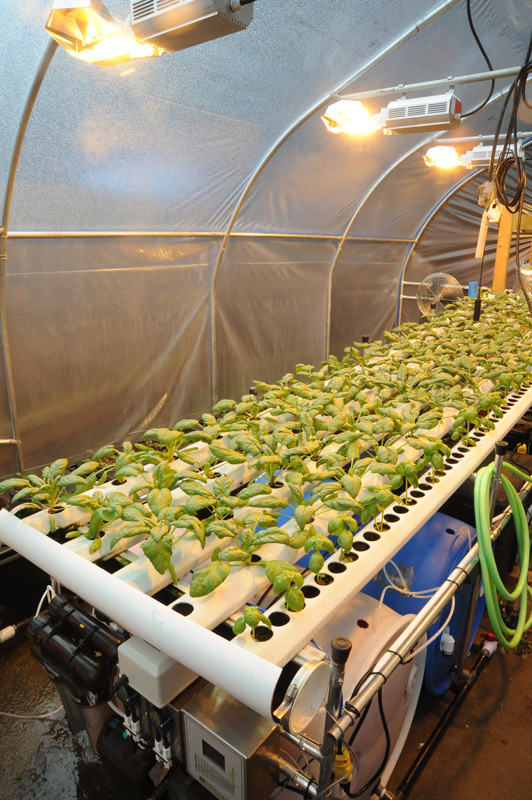 A hydroponics system can be automated and operated at waist height. No weeding, digging, guessing when to water and other time consuming laborious tasks are required. Keeping crops up and off the ground also means fewer chances of insects or other predators getting to your crop and making work or headaches for you. 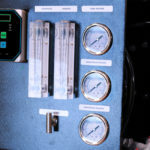 On a commercial level, the labor savings and faster cropping times can add up to considerably higher profit margin potentials. When you apply a small amount of specialty hydroponics fertilizer to good quality water, there isn’t a roller coaster of mineral availability for your hungry plants like there can be with soil gardening methods where climate and seasonal changes can have a big impact in how much your plants can feed. Growing hydroponic spinach versus soil grown spinach means you can harvest more crops per year, with consistent quality and yields. 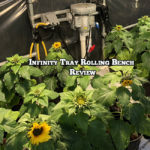 If you seed every two weeks and have a few different areas in your system you can harvest mature and full crops every two weeks–thats like 26 harvests per year! 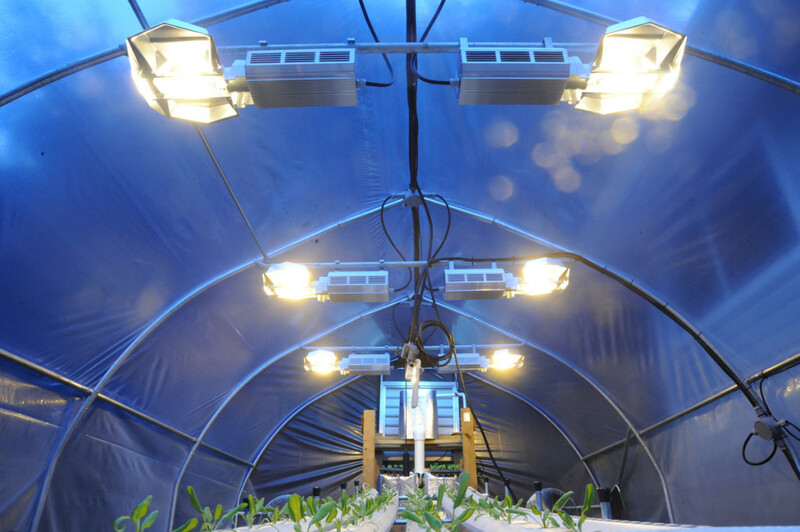 In a climate controlled greenhouse or indoor garden it means you can get the same results over and over, regardless of geographic location or seasonal conditions. 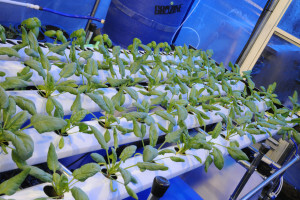 Growing hydroponic spinach versus soil or soilless grown with water culture methods like NFT or DWC requires less fertilizer, less water, and virtually nothing to replace other than seeds and starter plugs when you start a new crop. 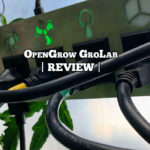 The starter plugs featured in this article are 100% biodegradable and don’t get water logged–the prefect material for starting crops from seeds. 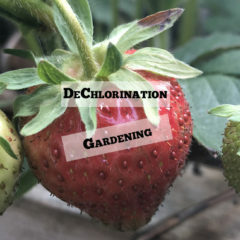 On a commercial level it means less fossil fuels, insecticides, fungicides and even fewer chances of food contamination–for example like from E.Coli that may originate in soils and get transferred to harvests. 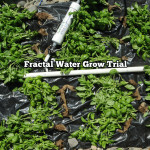 Growing hydroponic spinach from seed is easy. The variety featured in this article is “Olympia” from West Coast Seeds. We used Jiffy “Preforma” starter plugs. 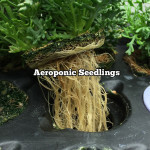 They are made from peat moss and perlite that are held together via a manufacturing process to make a robust plug for seeding into that won’t break down from being in constant contact with a flow of nutrient solution. Note that we inverted them so that the wider part was at the bottom so they wouldn’t fall over in our NFT troughs. The process is simple, just poke a hole about 1/4″ into the depth of the plug and push the seed down. Keep well watered with good quality clean water–filtered water is prefered. TIP: Never let spinach seeds dry out, the plants that will result perform poorly. 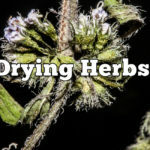 It’s better to start a fresh batch if they got neglected and dried out during the germination process. 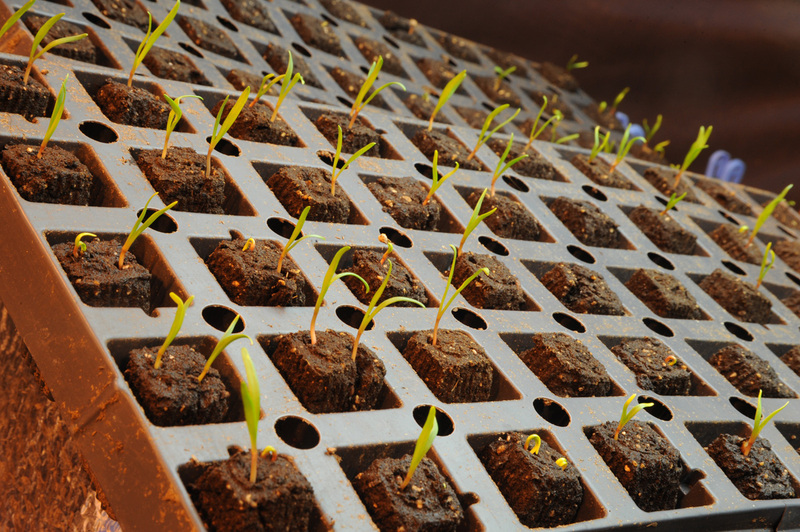 Spinach germinates quickly at room temperature. Spinach is a cool weather crop, so don’t let temperatures get above 75 Deg F anytime through the growing process. 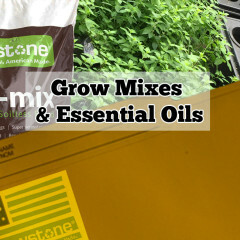 Make sure to give the seedling and germinating seeds at least 12 hours of light. Fluorescent lighting works great. 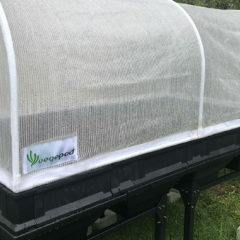 No fertilizer is needed for the first 7 to 10 days. 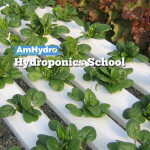 After about 7 to 10 days, you should have a tray of healthy looking hydroponic spinach sprouts. 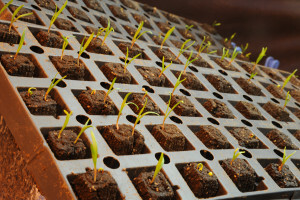 At this point, you will want to gradually expose them to stronger light levels and more air movement for a day or two before final transplant to harden up the young tender plants. It may also be time to fertilize. 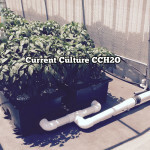 For this crop, we used Cultured Solutions Veg A&B hydroponic fertilizer–1/8 to 1/4 strength is usually plenty at first–thats about 250-350 ppm (max 0.5 EC). 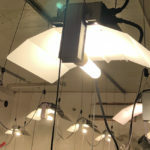 We maintained a photoperiod (light regimen) of 12 hours per day for the entire duration of our hydroponic spinach crop, averaging around 4500 lumens of combined light from our High Pressure Sodium grow lights and the natural sunlight that was available in the greenhouse during winter months. 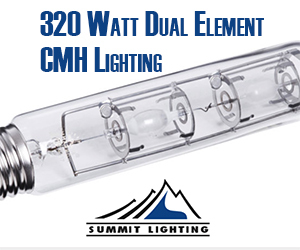 During brighter months and longer days no supplemental light may be required. 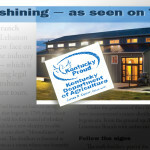 In fact, it may be prudent to incorporate some shading to help keep the crop vool and healthy. TIP: Excessively warm temperatures will cause many varieties of spinach to “bolt” and go to seed, making for bitter tasting plants and ruining marketability. 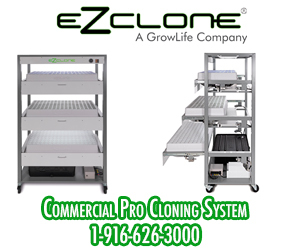 Starting off with 1/8 to 1/4 strength hydroponic nutrients for the first one to two weeks after transplant is recommended. 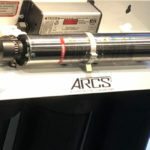 Our plants responded favorably to additional levels of Calcium, Magnesium and micro nutrients that were supplied by including a Cal-Mag (SensiCal) along with the Cultured Solutions base nutrient. After two weeks, or when plants look like they need it, we increased the feeding strength to around 900 ppm (around 1.2 EC). 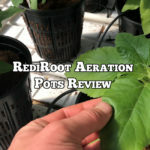 As plants near maturity, reduce the feeding strength to 700 ppm (1.0 EC) or less to help ensure that plants don’t have any bitter tastes. Cooler temperatures at maturity promote sweeter tasting harvests. However, running to cool through the growth phase will mean your crop grows slower. Average day time temperatures of 72 Deg F and average night time temperatures of 65 Deg F gave us very favorable results, in both quality of harvest and cropping time. 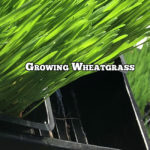 Supplementing the growing environment with carbon dioxide (CO2) will result in faster growth rates and heavier yields. This crop received an average of 1200 PPM (parts per million) of atmospheric carbon dioxide levels. Note, the average natural ambient levels range from 350-600 PPM in most settings. The diffusion of spinach into the Mediterranean was almost certainly the result of Arab ingenuity. Spinach, which does not grow well in hot weather, was successfully cultivated in the hot and arid Mediterranean climate by Arab agronomists through the use of sophisticated irrigation techniques probably as early as the eighth century A.D. The first references to spinach are from Sasanian Persia (about 226-640 A.D.) and we know that in 647 it was taken from Nepal to China where it was, and still is, known as the “Persian green.” The first written evidence of spinach in the Mediterranean are in three tenth-century works, the medical work by al-Razi (known as Rhazes in the West) and in two agricultural treatises, one by Ibn Wahshiya and the other by Qustus al-Rumi. Spinach became a popular vegetable in the Arab Mediterranean and arrived in Spain by the latter part of the twelfth century where the great Arab agronomist Ibn al-‘Awwam called it the “captain of leafy greens.” Spinach was also the subject of a special treatise in the eleventh century by Ibn Hajjaj. When spinach reached Provence it also became a popular vegetable, behind cabbage. Spinach is mentioned frequently as part of the fifteenth century Provençal ortolagia, the vegetable production of the garden. In the seventeenth century, the famous English philosopher John Locke reports having had a spinach and herb soup during his travels in southwestern France. In Anatolia, spinach was known by the thirteenth century, if not earlier, and served with meat and covered in garlic-yogurt sauce, a dish that was popular with the Seljuk Turks. The Italians were important for promoting the role this new vegetable played in the Mediterranean diet, as they favored spinach along with several other new vegetables both from the Old and New Worlds, in their gardens beginning in the thirteenth century. In Venice, cooks integrated Muslim flavoring techiques in dishes known as saur which were enriched with pine nuts and sultanas. Although fish, meatballs, and rice were so flavored, so were dishes of spinach. The Arab influence in Spain is evident even today. Sometime ago a stylish dish in Cordoba wassajina, also called ásida, a kind of watery soup made with wheat flour cooked with spinach or other leafy vegetables. This soup seemed to be obligatory at family gatherings, holiday feasts, where you would also find stew/soups of lima beans or chickpeas. Sajina is a direct descendent of a popular stew from Islamic Spain. Mediterranean Jews, the Sephardim, were also fond of spinach and prepare dishes such asshpongous, a savory baked dish of sheep’s cheese and spinach that was customary as a dairy dish served on Shavuot, the holiday fifty days after Passover celebrating the Palestinian harvest and the anniversary of the giving of the Law. In thirteenth century Damascus, burani was a popular dish of Persian origin, made with spinach or Swiss chard and yogurt, garlic, and spices. In 1614, Castelvetro calls for spinach to be used as the stuffing for tortelli.